After Allen Craig’s outstanding outing as a St. Louis Cardinal yesterday against the Los Angeles Dodgers, I thought it was the perfect time to post his Q & A. But before we get into that, let’s recapitulate last night’s game and Craig’s amazing performance! The Cardinals were down 4-0 in the bottom of the eighth with both Albert Pujols and Colby Rasmus sitting out for the day. Craig hit a two-run double to left field plating Brendan Ryan as well as fellow Memphis Redbird Jon Jay. Shortly after, Randy Winn singled to right field to drive in Craig putting St. Louis down by only one run. Fast forward to the bottom of the ninth. Allen Craig is up again with Yadier Molina on second, Jon Jay on first and two outs. Craig singles to center field, Molina scores to tie up the game! Matt Holliday up next hits a single to right for the winning run. Cardinals win 5-4!! And all on the former Cal Bear’s birthday! Not only did Craig receive his first Major League double, but he also had his first multi-hit game with the Cards while collecting three RBI. 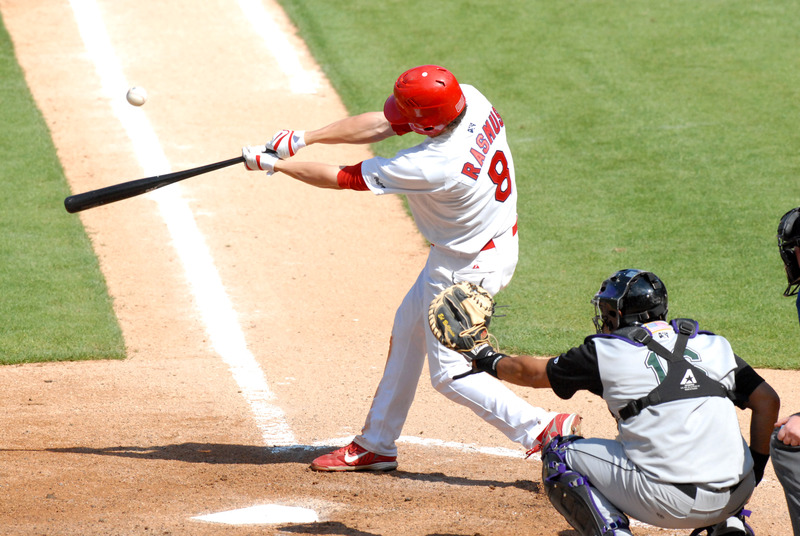 Allen Craig did an exceptional job and St. Louis posted videos to prove it. Check them out! Favorite Baseball Player: Ken Griffey Jr.
Tell us one thing about you the fans don’t already know. I have a pet tortoise back home. Do you have any autographs? A bunch! Cal Ripken, A-Rod, Griffey, etc. What is the most difficult part about playing professional baseball? The grind of the game, playing and staying focused every day and working hard. Three things you cannot live without: Food, water and family. Describe yourself in six words or less: Work hard at what I do. What is your favorite part about being a Redbird? It’s unpredictable. That’s it for Allen Craig, we send our congratulations from Memphis and wish him the best of luck! Selected in the first round of the 2005 draft. Colby Rasmus, the talented lefty that has been ranked as the Cardinals No. 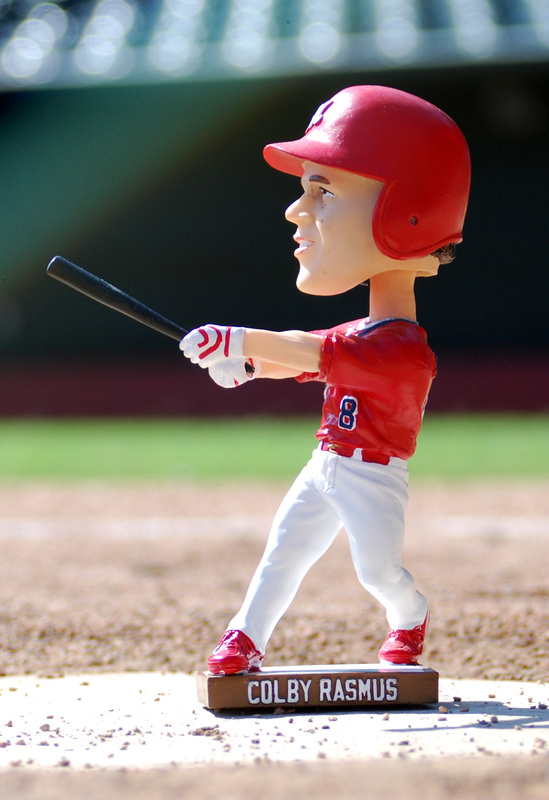 1 Prospect from 2007-09, gets his own bobblehead Monday in the Redbirds Labor Day regular season finale. It wasn’t until his third full-season of professional baseball that Rasmus made his debut in Memphis. He went 3-for-5 in the season opener against the RedHawks with a run and a double, but he didn’t really get hot until summer. In June, the then-21-year-old hit for .337 (34×101) with 12 extra-base hits and 15 RBI. Rasmus’ year was cut short due to injury and made his last start at AutoZone Park on July 22, 2008. In 2009, the four-year pro made his major league debut for the Cards, appearing on their Opening Day Roster. Rasmus has been in St. Louis since April, where he is hitting .257 (101×393) through 123 games. Though he only played 43 games in Memphis, Rasmus rounds out the 2009 All AutoZone Park Bobblehead series on Monday. The first 1500 fans to walk through the gates, which open at noon, will receive a bobblehead.